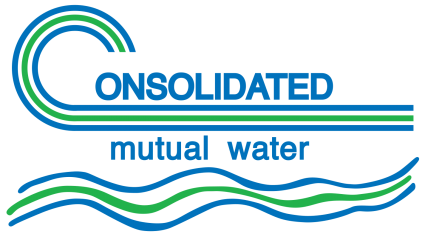 The Consolidated Mutual Water Company (Consolidated) purchases treated water from the Denver Board of Water Commissioners (Denver Water) at their water rates and fixed meter charges for about 70% of Consolidated’s total water distributed annually. Further, treated water purchased from Denver Water is 40% of Consolidated’s annual operation and maintenance budget. 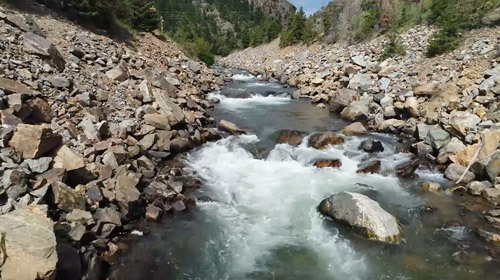 The Denver Water Board adopted water rates for 2019 which included an adjustment to their cost of water and a substantial increase in their fixed monthly meter service charges for each of the last three years. 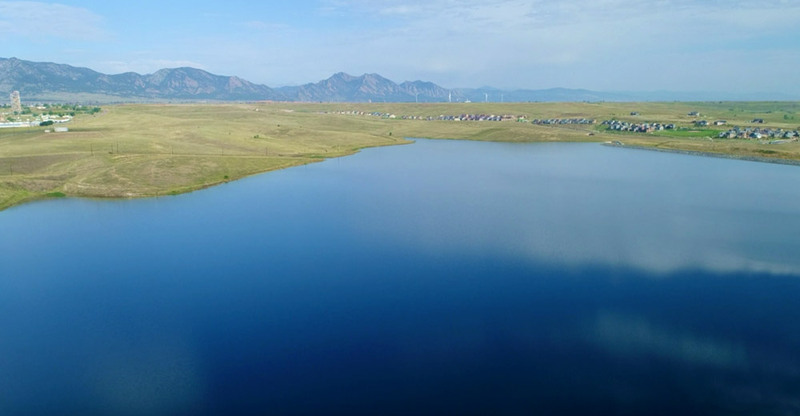 Denver Water’s new rate structure is striving to improve revenue stability by increasing fixed monthly revenue and reducing weather-related volatility. No combination or aggregation of charges for service to a customer through two or more meters shall be made. Consolidated’s delinquent account policy is applicable for all unpaid and delinquent water billing and fire line connection accounts. The Board of Directors has established the selling price of capital stock to assure that much of the cost of new water resource development is passed on to new customers creating the demand. Effective February 1, 2016, the stated selling price of capital stock is $2,500 per share, or $12,500 per five-share unit. Effective February 1, 2009, new taps on the Maple Grove Water Supply System will be assessed a Water Development Fee of $1,800 per share, or $9,000 per five-share unit. Effective on and after August 28, 2013, new taps on the Denver system will also be assessed a Water Development fee of $1,800.00 per share or $9,000.00 per five(5) share block. An account will be considered delinquent at any time charges remain unpaid beyond the Due Date shown on the Water Bill or Statement. The Company will discontinue service – the date of shut off – to a service address whose account remains delinquent after 6 weeks from the original Statement Date. Partial payments are not accepted once an account becomes delinquent, and the entire amount is due and payable in full to avoid discontinuance of service. Further, please note that delinquent accounts not paid in full before the date of shut off will incur an additional $25.00 service charge. All water bills are the responsibility of the Stockholder/Owner; however, Consolidated will send a copy of the Water Bill or Statement to the current occupant of a property if the Stockholder/Owner coordinates this special request with the Company. Please be advised that before restoration of water service, the entire bill must be paid in full, including the service charge, and service terminated for non-payment will not be restored outside regular business hours. Therefore, payments received between 7:00 a.m. and 4:30 p.m. Monday through Friday (except Holidays) result in restoration of service the same day. Payments received after 4:30 p.m. Monday through Friday (except Holidays) result in restoration of service the next business day. Settlement of an account with a check or electronic payment that does not clear the bank will result in a $20.00 returned check charge. A returned check or electronic payment on a delinquent account will result in immediate discontinuance of water service. The amount of the returned check, the $20.00 returned check charge, and any service charge must be paid in cash or certified funds before restoration of service occurs. “Stockholders are responsible for unpaid water bills incurred by a tenant or other user (such as under a purchase contract) of the tap right represented by this certificate, and any unpaid sums, whether for water or otherwise, due the Company incident to service under such tap right shall constitute a paramount lien in favor of the Company against the stock represented hereby. No stock representing a tap right can be transferred until any delinquency in connection therewith is paid in full”. Effective on July 1, 2018 (“the effective date”) water bills for water service will be mailed to the service address shown on the Stock Certificate of the Stockholder, unless the Company receives a written request from the Stockholder directing that the water bill be sent to an address other than the service address served by the Company. Mailing of the water bill for water service to an address other than the Stockholder’s address shall in no way relieve the Stockholder of unpaid water bills or other unpaid charges, nor shall it affect the Company’s power to enforce payment for any unpaid charges by discontinuing water service to the property at which the charges originated. Unpaid charges constitute a paramount lien in favor of the Company against the stock. Stock cannot be transferred until all charges are paid in full. After reasonable notice has been given, no water will be furnished to the service address where any charge remains unpaid beyond the due date. Further, and as an added benefit for Stockholders, beginning on July 1, 2018, the Company will mail duplicate water bills and final notices for delinquent payments to both the Stockholder and the current resident of the rental property, if requested by the Stockholder. To accommodate this duplicate billing procedure, the Stockholder will pay a fee of $2.00 per billing cycle per rental property. Payment of water bills and any unpaid charges are the responsibility of the Stockholder pursuant to Article VII, Section 1. (f) of the Company’s Bylaws. The Company has no legal relationship, implied or otherwise, with the Stockholder’s tenants.